Hi All! i have finished four comic books till now! and i am super excited to tell you guys that i am enjoying the process of storytelling and drawing though the deadlines are so fucked up! enjoy! I just finished drawing the second comic book. 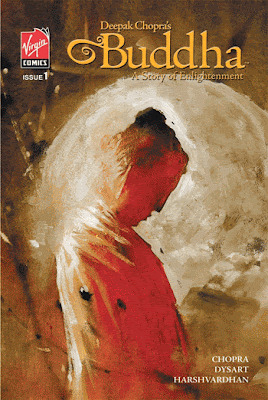 It is a graphic adaptation of Deepak Chopra's Buddha, a story of enlightenment. It is a miniseries of six comic books and i am really enjoying it. You can order a copy here . Click here to read the review for the book. and here. and here.